Product categories of Bitumen Tanker Semi-trailer, we are specialized manufacturers from China, Bitumen Tanker Semi-Trailer, Asphalt Tanker Semi-Trailer suppliers/factory, wholesale high-quality products of Insulate Bitumen Tanker Semi-Trailer R & D and manufacturing, we have the perfect after-sales service and technical support. Look forward to your cooperation! 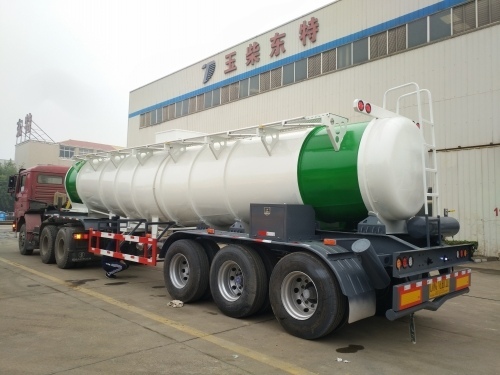 Bitumen Tanker Semi-Trailer also called heating preservation Tanker Semi-Trailer or thermal insulation Tanker Semi-trailer.It used to transport kinds of bitumen or asphalt,or crude oil. This heating insulation tanker special design with heating insulation layer and tanker heating equippment.